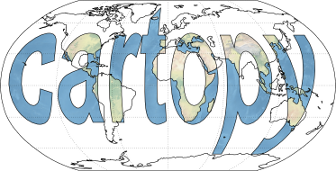 Cartopy provides an object oriented shapefile reader based on top of the pyshp module to provide easy, programmatic, access to standard vector datasets. Cartopy’s wrapping of pyshp has the benefit of being pure python, and is therefore easy to install and extremely portable. However, for heavy duty shapefile I/O Fiona and GeoPandas are highly recommended. A single logical entry from a shapefile, combining the attributes with their associated geometry. A dictionary mapping attribute names to attribute values. The bounds of this Record’s geometry(). A shapely.geometry instance for this Record. The geometry may be None if a null shape is defined in the shapefile. Return the path to the requested natural earth shapefile, downloading and unziping if necessary. To identify valid components for this function, either browse NaturalEarthData.com, or if you know what you are looking for, go to https://github.com/nvkelso/natural-earth-vector/tree/master/zips to see the actual files which will be downloaded. Some of the Natural Earth shapefiles have special features which are described in the name. For example, the 110m resolution “admin_0_countries” data also has a sibling shapefile called “admin_0_countries_lakes” which excludes lakes in the country outlines. For details of what is available refer to the Natural Earth website, and look at the “download” link target to identify appropriate names. Return the path to the requested GSHHS shapefile, downloading and unziping if necessary. SHP.1: Repeat the last example to show the 4 most populated African countries in to the shapefile. Hint: Look at the possible attributes to find out which continent a country belongs. SHP.2: Using the countries shapefile, find the most populated country grouped by the first letter of the “name_long”. Hint: itertools.groupby() can help with the grouping.